Four vaccinated racehorses in Britain’s Thoroughbred heartland have returned positive tests for equine influenza, potentially jeopardising plans for the resumption of racing. The British Horseracing Authority (BHA) is expected to make a decision in the next few hours on whether to resume racing mid-week. However, the discovery of four positive tests for equine flu at the Newmarket yard of licensed flat trainer Simon Crisford is a blow. The cases were disclosed on Sunday night. Authorities says that no non-urgent journeys should be made to this yard, including by the media. Crisford’s yard is one of many required to undergo testing due to the fact that runners from the stable competed at the race meeting at Newcastle on February 5, which had been identified as a potential risk fixture. At the moment the affected horses are all contained within this yard. This Newcastle fixture was considered to have carried an increased risk owing to the presence of runners from the stable of Rebecca Menzies, where suspicious cases of potentially symptomatic horses had been identified. All horses from her yard have since been sampled and tested negative. However, this does not guarantee that the horses had not previously had the virus. Nor does it rule out the possibility that the virus is still incubating in some horses. It is for this reason that, despite the negative tests, the 54 yards who competed at Newcastle and Wolverhampton on February 5 and 6 are still considered to be potential contacts. The cases at Crisford’s yard are the first positive results of an ongoing equine flu testing programme involving thousands of Thoroughbreds since six horses in the Suffolk yard of Donald McCain were confirmed positive to the disease last week. The BHA shut down horse racing across Britain last Thursday as a consequence. Horses from McCain’s yard had last week travelled to three race meetings – at Wolverhampton, Ludlow and Ayr – within a window which could potentially have seen a spread of the virus. Of the four horses from the Suffolk yard who competed at the fixtures, one returned a positive sample. Raise A Spark had competed at Ayr on February 6. The test relates to a sample taken the following day, and the horse showed no clinical symptoms on race day. 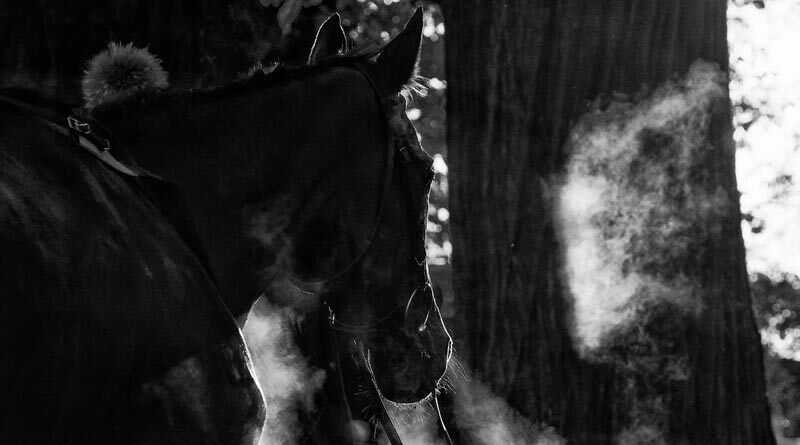 Authorities are urging licensed trainers, veterinary surgeries, farriers, racing schools and all other relevant bodies to continue to show increased vigilance in a bid to contain the virus. The BHA says it will keep the Newmarket racing community updated regularly. Meanwhile, the BHA’s industry veterinary committee was meeting this morning (New Zealand time) ahead of its decision on whether racing will resume on Wednesday. The committee is said to be assessing data already gathered as well as the results of the ongoing testing, which is taking place at the Animal Health Trust laboratory. The decision was expected late Monday evening (British time), probably no earlier than 10.30pm. Swabs are continuing to be collected and tested from Thoroughbreds, but some have been fast-tracked where links were established to meetings from which the virus could have infected other horses. Separately, a specific plan is being formed as to what the clearance process will be for individual yards to return to racing. Newmarket is an important centre for Thoroughbred racing, as well as a hub for the breeding industry. The BHA says it is particularly mindful of the potential consequences of the handling of this outbreak for the breeding industry. “We are working with the Thoroughbred Breeders’ Association and wider Newmarket community to attempt to contain the issue,” it said in a statement. The BHA says affected yards are now being treated as infected properties and it is not the intention to provide further updates about the spread of the virus to individual horses in the yards.